The negative effects of reduced atmospheric pressure at flight altitudes, forcing less oxygen into the blood, can be overcome. There are two ways this is commonly done: increase the pressure of the oxygen or increase the quantity of oxygen in the air mixture. Large transport-category and high performance passenger aircraft pressurize the air in the cabin. This serves to push more of the normal 21 percent oxygen found in the air into the blood for saturation. 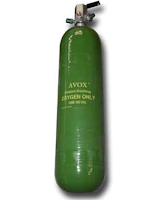 When utilized, the percentage of oxygen available for breathing remains the same; only the pressure is increased. By increasing the quantity of oxygen available in the lungs, less pressure is required to saturate the blood. This is the basic function of an aircraft oxygen system. Increasing the level of oxygen above the 21 percent found in the atmosphere can offset the reduced pressure encountered as altitude increases. Oxygen may be regulated into the air that is breathed so as to maintain a sufficient amount for blood saturation. Normal mental and physical activity can be maintained at indicated altitudes of up to about 40,000 feet with the sole use of supplemental oxygen. Oxygen systems that increase the quantity of oxygen in breathing air are most commonly used as primary systems in small and medium size aircraft designed without cabin pressurization. Pressurized aircraft utilize oxygen systems as a means of redundancy should pressurization fail. 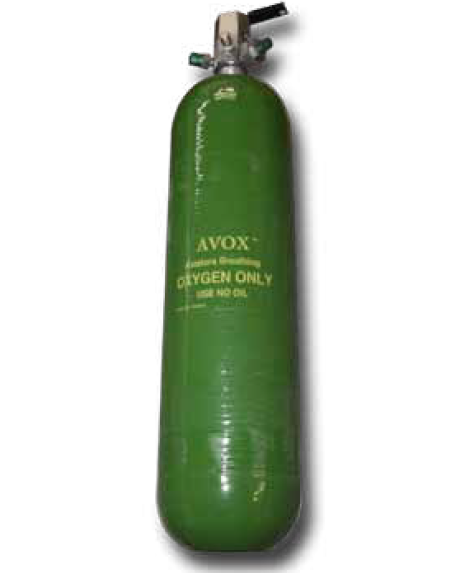 Portable oxygen equipment may also be aboard for first aid purposes. Oxygen is a colorless, odorless, and tasteless gas at normal atmospheric temperatures and pressures. It transforms into a liquid at –183 °C (its boiling point). Oxygen combines readily with most elements and numerous compounds. This combining is called oxidation. Typically, oxidation produces heat. When something burns, it is actually rapidly combining with oxygen. Oxygen itself does not burn because it does not combine with itself, except to form oxygen or ozone. But, pure oxygen combines violently with petroleum products creating a significant hazard when handling these materials in close proximity to each other. Nevertheless, oxygen and various petroleum fuels combine to create the energy produced in internal combustion engines. Production of gaseous oxygen for commercial or aircraft cylinders is often through a process of liquefying air. By controlling temperature and pressure, the nitrogen in the air can be allowed to boil off leaving mostly pure oxygen. Oxygen may also be produced by the electrolysis of water. Passing electric current through water separates the oxygen from the hydrogen. One further method of producing gaseous oxygen is by separating the nitrogen and oxygen in the air through the use of a molecular sieve. This membrane filters out nitrogen and some of the other gases in air, leaving nearly pure oxygen for use. 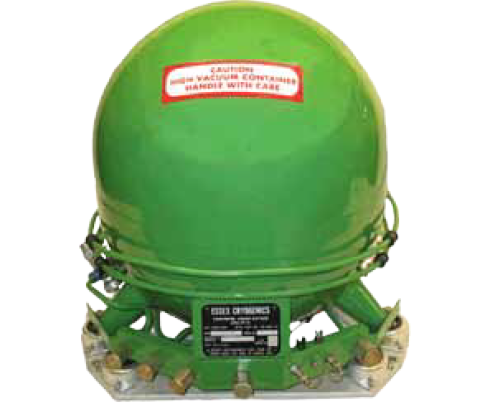 Onboard oxygen sieves, or oxygen concentrators as they are sometimes called, are used on some military aircraft. 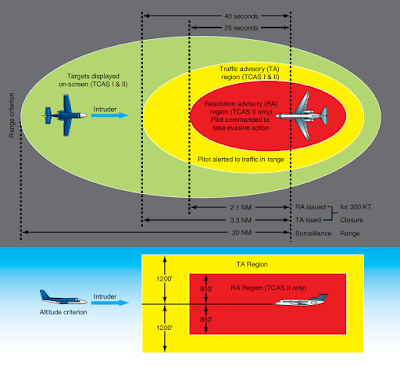 Their use in civil aviation is expected. Use of portable pulse oximeters has become more common in aviation. These devices measure the oxygen saturation level of the blood. With this information, adjustments to the oxygen flow rates of onboard oxygen equipment can be made to prevent hypoxia. 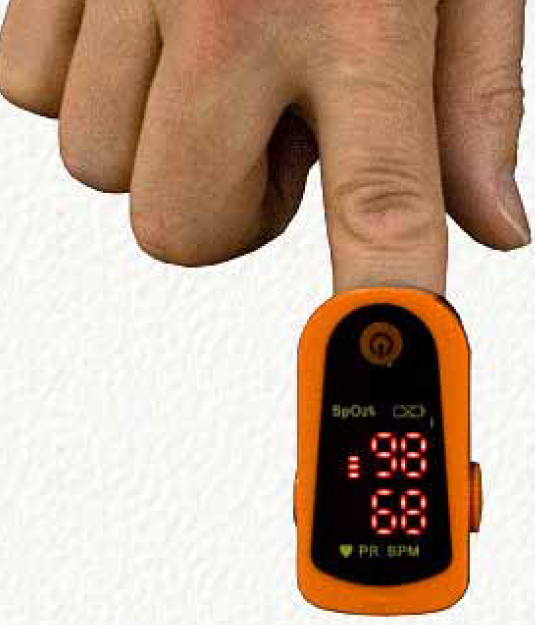 Figure 2 shows an oximeter into which a finger is inserted to measure oxygen saturation of the blood in percentage. Heart rate is also displayed. Liquid oxygen (LOX) is a pale blue, transparent liquid. Oxygen can be made liquid by lowering the temperature to below –183 °C or by placing gaseous oxygen under pressure. A combination of these is accomplished with a Dewar bottle. This special container is used to store and transport liquid oxygen. 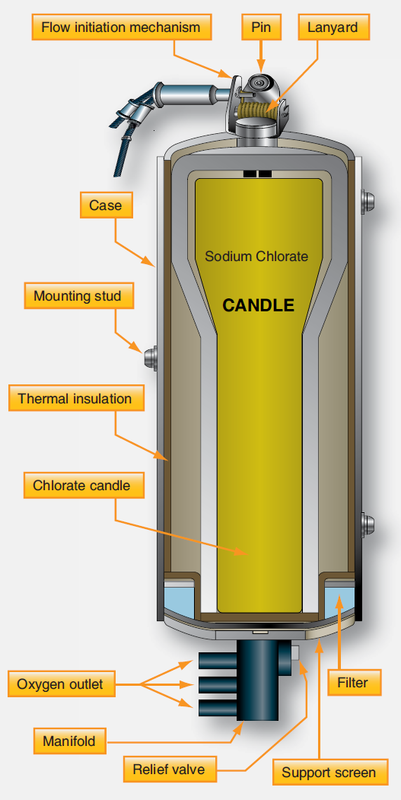 It uses an evacuated, double-walled insulation design to keep the liquid oxygen under pressure at a very low temperature. [Figure 3] A controlled amount of oxygen is allowed to vaporize and is plumbed into a gaseous oxygen delivery system downstream of a converter that is part of the container assembly. 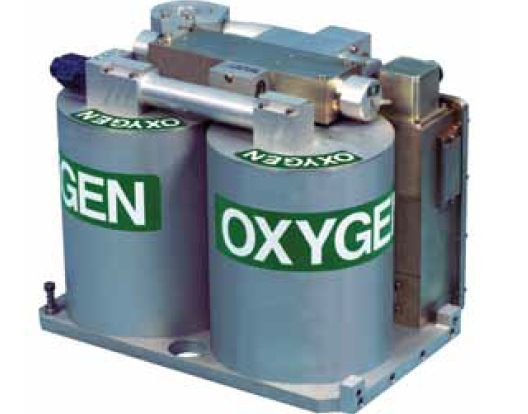 A small quantity of LOX can be converted to an enormous amount of gaseous oxygen, resulting in the use of very little storage space compared to that needed for high-pressure gaseous oxygen cylinders. 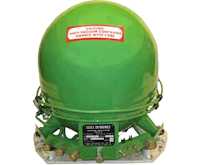 However, the difficulty of handling LOX, and the expense of doing so, has resulted in the container system used for gaseous oxygen to proliferate throughout civilian aviation. LOX is used nearly exclusively in military aviation. 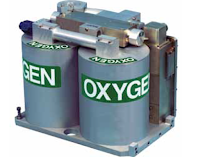 Solid oxygen generators are primarily used as backup oxygen devices on pressurized aircraft. They are one-third as heavy as gaseous oxygen systems that use heavy storage tanks for the same quantity of oxygen available. Sodium chlorate chemical oxygen generators also have a long shelf life, making them perfect as a standby form of oxygen. They are inert below 400 °F and can remain stored with little maintenance or inspection until needed, or until their expiration date is reached. The feature of not extinguishing once lit limits the use of solid oxygen since it becomes an all-or-nothing source. The generators must be replaced if used, which can greatly increase the cost of using them as a source of oxygen for short periods of time. 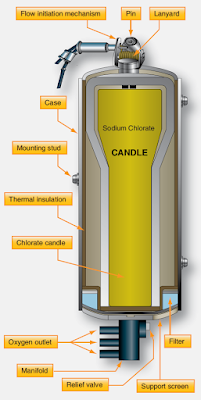 Moreover, chemical oxygen candles must be transported with extreme caution and as hazardous materials. They must be properly packed and their ignition devices deactivated.